Fill the booking form to book a taxi in Athens! Booking a taxi in Athens was never easier! Fill the form! Choose from our fixed services or create a customized taxi service! You have countless options! 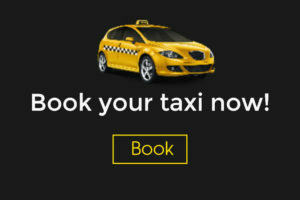 Book a taxi in Athens with 100% appointment guarantee! Choose your services. Insert your details. Add your customization. Fill your name and email and hit send. After that, you will receive a configuration email with the price of your services and the payment options. Next, you accept the price and payment. Although, in some transfers you might need to make a payment in advance. At Athenian taxi, you never have to worry! Indeed, your transfers are 100% guaranteed, fast and safe! Is it free to fill the booking form? It is 100% free to book a taxi in Athens. Just fill our booking form. In fact, you give us a transfer request. Also, you submit your transfer’s details. Then, based on your information, we come to you with a personalized price offer. Alternatively, you can ask for a price quote by phone or email! Also, you can book your services by phone or email. Therefore, filling out the booking form is free and not-binding. At Athenian taxi, you have countless options. Moreover, we want you to come to us with any special inquiry or request. We are expert professional taxi drivers with new vehicles. That means, we can undertake any transfer and provide you any taxi service you might need. The easy and secure way! Personalized Athens Tours to visit the most famous sights in the World!